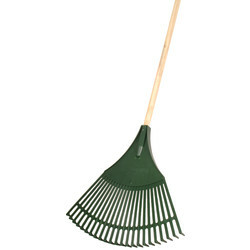 Move leaves and debris effectively with a heavy duty rake at Toolstation. 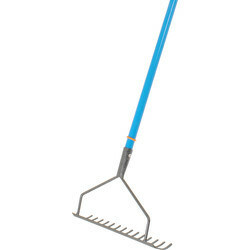 We stock garden and tarmac rakes and many more from brands you trust including Bulldog, Roughneck and Smith & Ash. 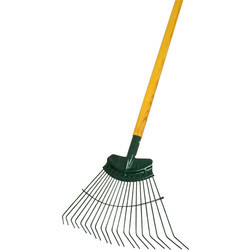 Browse a selection of garden rakes including lawn, leaf and soil plastic and metal rakes. 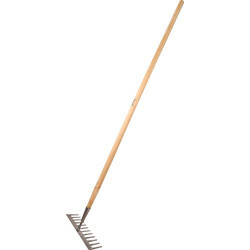 For clearing or removing debris from a lawn, choose the carbon steel lawn rake with a 1200mm handle or a leaf rake such as the Patrol lawn and leaf rake made up of a wooden shaft with plastic, durable tines. 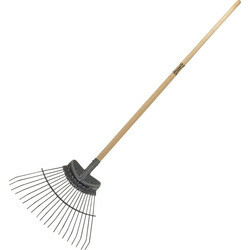 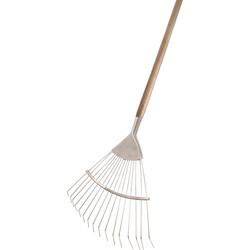 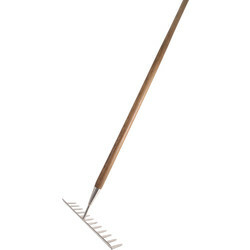 To shift soil or bark consider the Smith & Ash stainless steel garden soil rake with a 12-tooth head. 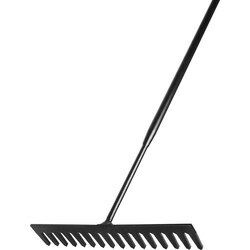 Spreading tarmac requires a rake specially made for the job. 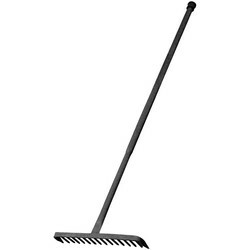 Find the Roughneck tarmac rake that's heavy duty with an all steel construction or an asphalt rake for spreading asphalt such as the Roughneck asphalt rake with a 16-tooth head.